American Airlines operates a Reservation Center in Cary, NC in approximately half of a 105,000 SF single level building. In order to upgrade furniture systems and interior finishes as well as increase workplace density, iS design worked with airline facilities personnel to create a project that renewed and refreshed occupied space while maintaining continuous operation. This required a detailed phasing of construction activities to allow for employee displacement into adjacent swing space as their area was next to be upgraded. 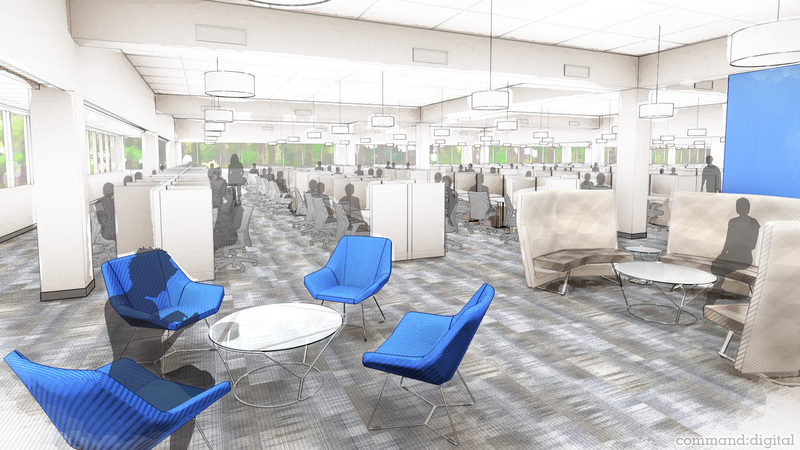 Overall, the project had 18 phases of on-site incremental improvements including new workstations, finishes and completely re-designed and re-configured rest rooms.